On May 7th, 2017, FiFA reached out to IFA President Karl Weiss with a simple, yet bold request – could the IFA, with the worldwide fistball community at their fingertips, help us find an experienced fistball coach to take Australian fistball to the next level. With Alwin Oberkersch assigned to the case, we didn’t just find one potential candidate – we found a whopping 10 experienced fistballers from all over the world who were interested and willing to fly all the way out to li’l ol’ Australia to dispense some fistball wisdom. This evening, a breezy 480 days after that process was initiated, one of those candidates will finally land Down Under. After departing his home in Germany yesterday afternoon, Coach Tommy Helber will be greeted at Melbourne’s Tullamarine Airport by FiFA President Rolf ‘Godfister’ Petersen at 10pm tonight, where he will be presented with customary shrimp to be chucked on the barbie as he passes through customs. Coach Helber will then be thrown almost straight into the fire – hosting his first national squad training session just 36 hours later, before overseeing his first-ever Australian fistball tournament at Fistivus XXXIV – The Count of Monte Fisto… and then kicking off another national squad training just 24 hours after the first. He will then be allowed to relax, put his feet up, wrestle a croc – whatever helps him to unwind. 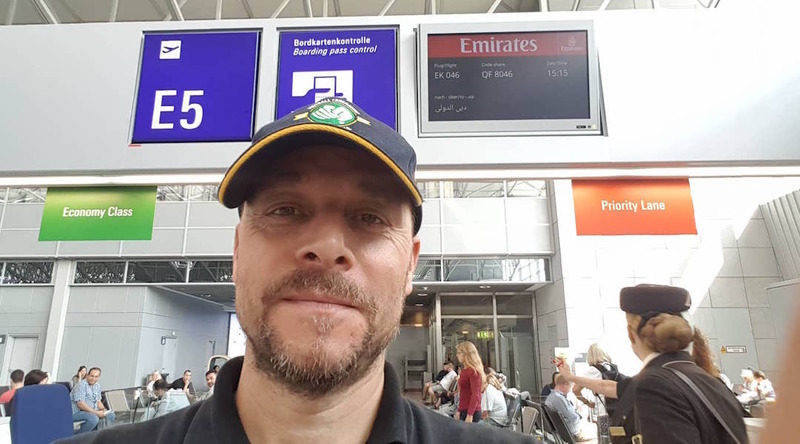 Welcome to the Australian fistball family Coach Helber! Your fistball nickname with be forthcoming, of course. It won’t end there though, as Coach Bianca Kruck will land just one week later to help the Possums fist for Asia-Pacific fistball glory! When it rains, it pours. Particularly in Melbourne.